Two police officers facing theft charges have sensationally claimed in court papers that former commissioner-general Augustine Chihuri looted substantial amounts of money of while still serving as the top Zimbabwe Republic Police (ZRP) cop. William Katayi, 37, a sergeant, is being jointly charged with 32-year-old Donation Dube, accused of fleecing motorists of $1 660 during highway patrols. In their court applications, they have both turned the tables on the ZRP, which is the complainant in the matter, saying the law enforcement authorities were approaching the case with dirty hands. They said before they claim to be clean, the authorities must account for every cent taken from roadblocks, adding that a tribunal must be set up to bring back transparency into the handling of the saga. “…The police force and, in particular, one … Chihuri who was the commissioner-general of the police acted like the Italian Godfather and using mafia-style squeezed every drop of blood, sweat and money from unsuspecting citizens. He was committing an illegality in this case and this honourable tribunal should not entertain such mafia conduct,” the pair said in their application. They said the principle that a litigant who has dirty hands should be denied audience in the halls of justice should be upheld. “It is submitted that this debacle is more evil that the $15 billion debacle from our diamond fields because on this one, the mafia-styled former commissioner-general was stealing directly from poverty-stricken people of Zimbabwe, most of who live below the poverty datum line. The truth be told, the act of the former commissioner-general border on satanic side of conduct, in essence he was sucking blood from the struggling masses,” the pair added. Prosecutor Dora Moyo is alleging that between April 6 and 27 last year Katayi and Dube were deployed to Westgate-Mabelreign area and issued with a ZRP National Traffic Admission of Guilty receipt book number 6116/17. The book was supposed to be used for receipting fines from motorists and remitting the money to Fines Office at National Highway Patrol, Morris Depot in Harare. 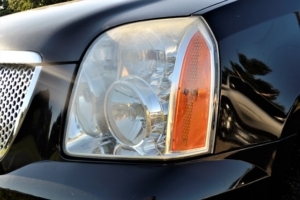 The court heard that Dube issued tickets for traffic fines of $120 and converted $30 to personal use. 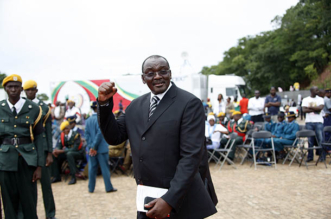 It was further alleged that between June 29, and July 21 the duo was deployed to conduct patrols along the Harare-Bindura Road. 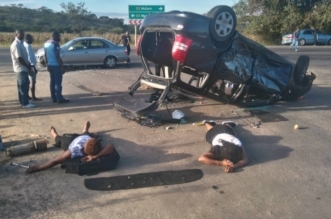 They reportedly received $500 fines from motorists and were supposed to remit the money to the Finance clerk Mashonaland Central but stole $40 and shared it between themselves. 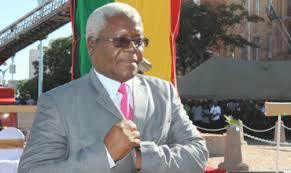 The court heard that Dube also received $520 but connived with Katayi and shared $270 among themselves. Katayi and Dube stole a total of $1 660 during the patrols and nothing was recovered. The matter is before Harare magistrate Joy Chikodzore. 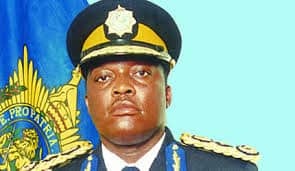 But through their defence counsel, Zorodzai Dumbura, the accused alleged the ZRP national traffic’s admission of guilt books that each officer was issued with to record fines were illegal and that spot fines they collected from motorists during highway patrols were pocketed by Chihuri instead of going to State coffers. They further alleged that fines were being remitted to designated police stations and thereafter deposited into an account with a local bank which Chihuri was a signatory without a trace of what the money was being used for. “…Millions of dollars if not billions were collected and are not accounted for. Our policing apparatus are in a sorry state, most of our police stations should be declared historical monuments; the officers are wearing torn and tattered uniforms. The million-dollar question is was this whole collection and fiasco constitutional?” the pair further said. They said there was no Act of Parliament to enable the ZRP to retain money from fines, adding there were still questions around who gave Chihuri the right to print the receipt books. “These books are not in our statutes, a close look at these books will reveal that they were printed by the police to collect fines from motorists. When they started working and their origins is a source of mystery. They appear to have just cropped up illegally during the past two to four years. “Further, a close look at all other laws of the land, these books are non-existent they cannot be traced to anyone or anywhere or any statute…these books have no paper trail, they do not have any legislation to back them or any statutory instruments to back them…If they are not enabled by any statute then it follows they are illegal and they are a scheme of a few people who have benefited from fleecing the general populace of the country,” they further said. In his defence, Katayi had earlier argued that the ZRP, which had been listed as complainant in the matter, had no right to drag him to court. He stated that the money collected from the highway patrols was used by police superiors for their selfish gains. “This money was collected fraudulently from motorists hence the police approached the court with dirty hands on this matter because they were stealing from the public,” he argued.